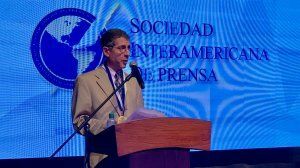 The award recognizes Ibargüen, president of the John S. and James L. Knight Foundation, for his "vision, passion and leadership in support of freedom of expression". MIAMI, Florida (November 17, 2015)—The Inter American Press Association (IAPA) today honored American news executive Alberto Ibargüen with its 2016 Chapultepec Grand Prize, emphasizing his vision and leadership in the development of good journalism as an essential value to empower people to live in a climate of freedom of expression. The award recognizes Ibargüen, president of the John S. and James L. Knight Foundation, for his "vision, passion and leadership in support of freedom of expression", both in his work as the head of the foundation and in "his professional career in news media and organizations such as ours," declared IAPA President Pierre Manigault. The Chapultepec Grand Prize is the IAPA's top distinction which has been awarded annually to individuals or organizations since 1998 for their defense and promotion of freedom of expression and of the press within the framework of the Declaration of Chapultepec, consisting of 10 principles that should prevail in a democratic society. 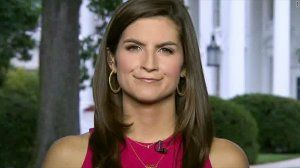 "The institution that you have headed since 2005 has contributed to the creation of a new and better form of communication, in which the traditional values of journalism are combined with the new technologies," Manigault said. He added, "You have strengthened the empowerment of individuals and journalists to find innovative formats to relate stories, come up with new, more diverse and broader paths, which reaffirm the democratic principles of freedom of expression and of the press, as expressed in the Declaration of Chapultepec and, especially, in the First Amendment of our Constitution," declared Manigault, president of The Post and Courier, Charleston, South Carolina. The Knight Foundation is an organization dedicated to the philanthropic support of journalism, community development and the arts. In the last 10 years it has granted more than $1,184 million in contributions to innovative journalism projects, training and protection of journalists, free speech, the arts, and various projects for the development of communities where the John and James Knight brothers, in their time, published newspapers. Ibargüen will also be recognized for "the fervor and vision demonstrated in projects in defense of the work of journalists in the Americas" as listed in the fourth principle of the Declaration of Chapultepec, said José Roberto Dutriz, Chairman of the IAPA's Chapultepec Committee, in pointing out the achievements obtained during Ibargüen's chairmanship of the Impunity Committee from 1998 to 2004. Born in Puerto Rico of a Cuban father and Puerto Rican mother he grew up in the United States. Ibargüen is a graduate of the University of Pennsylvania's Law school, and of Wesleyan University. He was editor of The Miami Herald and El Nuevo Herald, Miami, Florida, and during his editorship the English-language newspaper won three Pulitzer Prizes and the Spanish-language one, the Ortega y Gasset Prize. He also worked as an executive at The Hartford Courant in Connecticut and Newsday in New York. 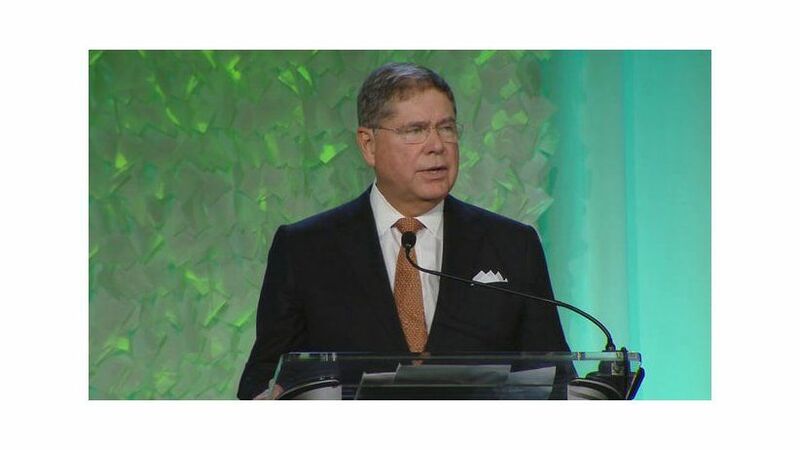 Ibuargüen is a member of the board of directors of PepsiCo and of American Airlines, and. until recently, of AOL. He has been a member of the board of directors of the Inter American Press Association, and of the Lincoln Center for the Performing Arts. He was board chairman of the public television channel PBS, the World Wide Web Foundation, which promotes a free and universal Web, and of the Newseum, dedicated to journalism and press freedom. In 2004 he received Columbia University's Maria Moors Cabot Prize for his work on behalf of the protection of Latin American journalists. Seven universities have granted him honorary doctorates, and in 2015 he was elected a member of the American Academy of Arts & Sciences, founded by American national hero John Adams. Ibargüen's name joins a list of laudable individuals and institutions that have contributed to freedom of expression. They are: Catalina Botero, former Rapporteur for Freedom of Expression of the Inter-American Commission on Human Rights (IACHR); Fernando Henrique Cardoso, author and former President of Brazil; Enrique Krauze, author, historian and journalist, Mexico; Mario Vargas Llosa, 2010 Nobel Literature Prize laureate, columnist, Peru; José Miguel Vivanco, director of the American Division of Human Rights Watch; Asdrúbal Aguiar, lawyer, academic and former judge of the Inter-American Human Rights Court, Venezuela; the Argentine Supreme Court through its Chief Justice, Ricardo Lorenzetti, Argentina; World Bank; Inter-American Human Rights Court; Santiago Cantón, former IACHR executive director; Anthony Lewis, author and former columnist of The New York Times; Claudio Grossman, former IACHR president; Jorge Santistevan, former Ombudsman, Peru; Dana Bullen, former executive director of the World Press Freedom Committee; Arthur O. Sulzberger, president emeritus de The New York Times Company, and Federico Mayor Zaragoza, former UNESCO director general. The 2016 Chapultepec Grand Prize awards ceremony will be held during the IAPA's Midyear Meeting, scheduled for April 8-11, 2016, in Punta Cana, Dominican Republic. 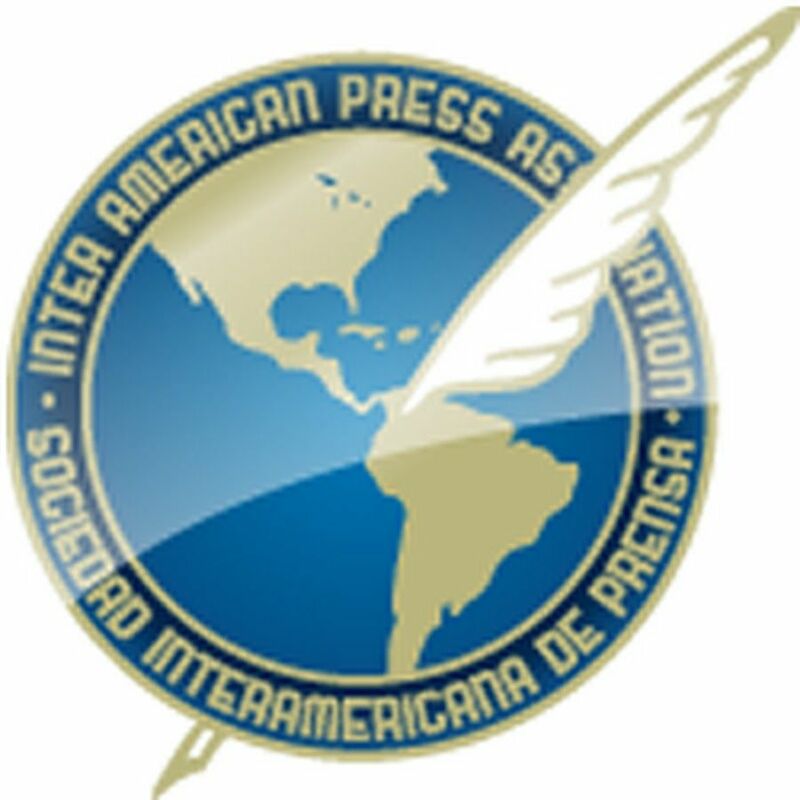 The IAPA is a not-for-profit organization dedicated to the defense and promotion of freedom of the press and of expression in the Americas. It is made up of more than 1,300 publications from throughout the Western Hemisphere and is based in Miami, Florida. For more information please go to http://www.sipiapa.org.